I found this cute little bathing suit in Target’s clearance section. I think I paid about 6 dollars for it. 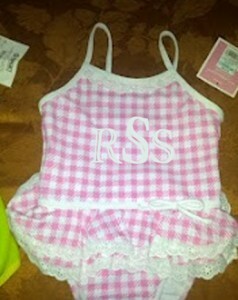 I like it how it is… but I think I will LOVE it with a monogram on it. The problem is, I don’t know what color. I’ve narrowed it down to these 4. I also considered white, but I think that a white monogram would get lost in the white spaces and end up looking “blah”. So, what color SHOULD I use? 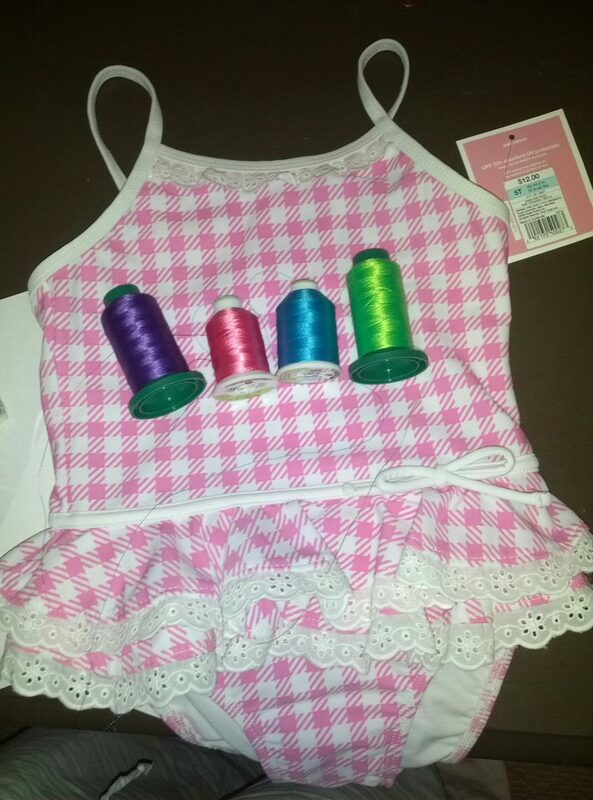 This entry was posted in Craftiness and tagged embroidery, monogram, swim suit, thread on July 27, 2012 by Lyndsey.